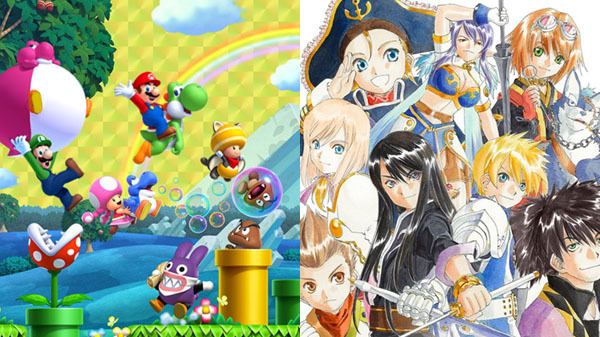 Opening week sales for New Super Mario Bros. U and Tales of Vesperia: Definitive Edition. New Super Mario Bros. U Deluxe for Switch was the top-selling new release in Japan last week with 166,303 opening retail sales, the latest Media Create sales figures reveal. Also new last week, Tales of Vesperia: Definitive Edition sold 41,510 retail copies on PlayStation 4 and 26,588 copies on Switch for a total of 68,098 opening week sales. On the hardware side, Switch moved 78,056 units, the PlayStation 4 family moved 18,301 units, and the 3DS family moved 5,704 units.